SYLVANIA, OH (July 20, 2018) — Toledo Fertility Center, which is part of the IVF Michigan Fertility Clinics, will be hosting a New Patient Open House on Saturday, August 18, 2018, from 10 a.m.-1 p.m. at their Sylvania office (6711 Monroe St., Building 3 – Suite A). 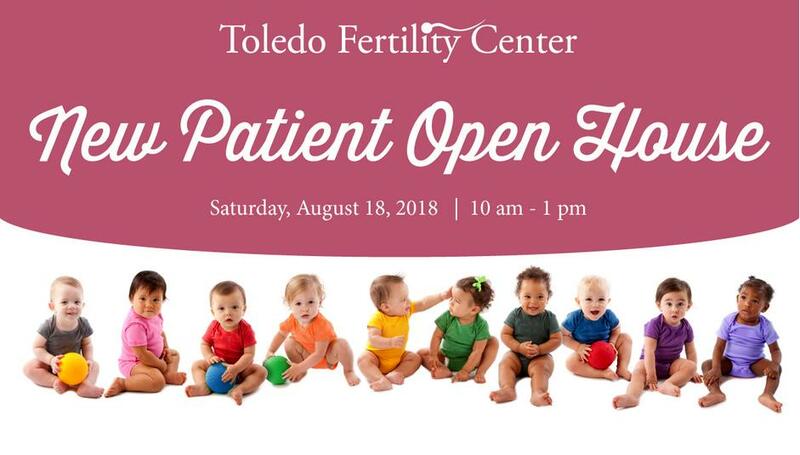 Dr. Nicholas Shamma, Dr. Hanh Cottrell, and the Toledo Fertility Center nurses and staff will be at the open house to answer any questions related to infertility and the services they offer. There will also be health and wellness vendors on site to provide demos, samples and gift bags. New patients will receive a free consultation coupon, a $2,000 voucher toward one IVF cycle, and the chance to win free IVF. Whether it is determining a patient’s cause of infertility, or implementing the in vitro fertilization process, the experienced doctors at IVF Michigan offer myriad services and infertility treatments, selecting the medical course that will best suit each patient. Common treatments and services provided by IVF Michigan include IVF, intra-uterine insemination (IUI or artificial insemination), natural cycle IVF, genetic testing, gender selection, egg donation and egg freezing. Pre-registration for the August open house is encouraged and can be done on IVF Michigan’s website: http://ivf-mi.com/. For more information or questions, please contact the Toledo Fertility Center at (419) 885-8080. IVF Michigan is a leading medical practice, with eight locations throughout Michigan and Ohio, that helps people overcome infertility. Their state-of-the-art technology and expert staff make IVF Michigan a leader in the field, while their level of compassion for and care of patients makes them a trusted choice.